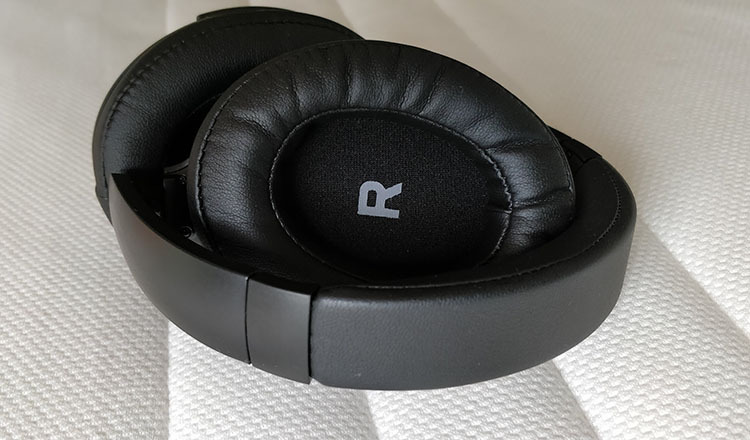 TaoTronics TT-BH22 Noise-Cancelling Headphones Review - Are They Any Good? 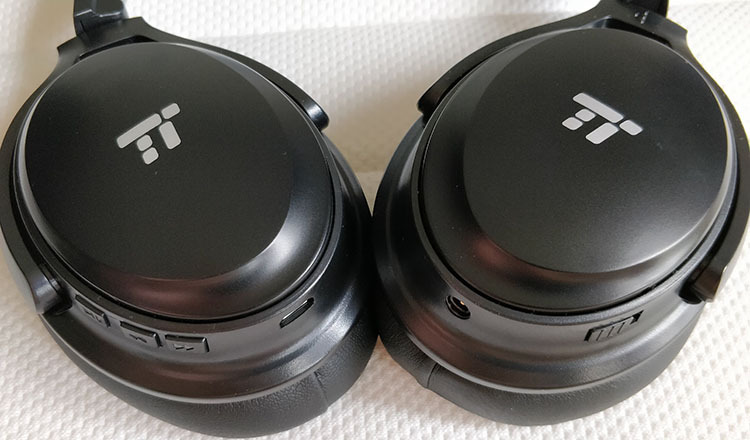 TaoTronics TT-BH22 Noise-Cancelling Headphones Review – Are They Any Good? One of the cheapest noise cancelling headphones that are actually good. 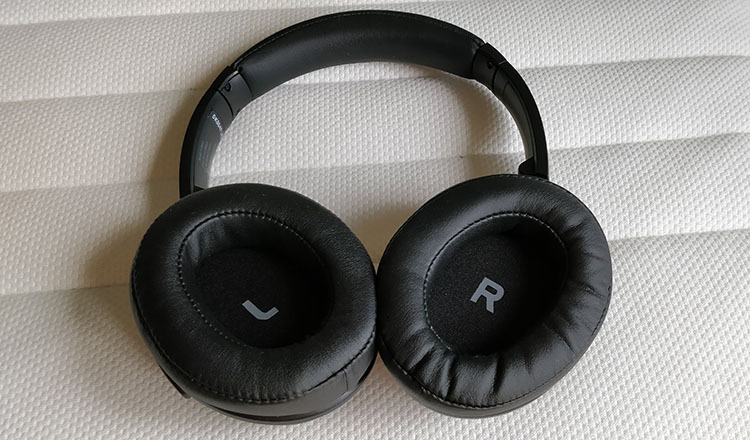 If you’re looking for noise-canceling headphones on the budget you have found a great pair of headphones. TaoTronics TT-BH22 are great value for money over-ear headphones with noise cancellation. And cheap isn’t everything these TaoTronics noise cancelling headphones offer. Note: The TaoTronics TT-BH22 are very similar to CB3 Hush but cost less, have no airplane adapter and different sound. We’d like to see an airplane adapter as well. There are a lot of airlines that still require it and it’s very handy. Even though most people consider ANC TaoTronics Bluetooth headphones a budget product, their noise-cancellation is quite effective. It can’t really compare to the likes of Bose, Sony or Sennheiser but does fairly well. As well as you’d expect from an under $100 noise cancelling headphones. We’d say they have about 70% effectiveness compared to the leaders in the category. Noise-cancellation can be activated separately from the headphones. You can keep the headphones off and only use ANC (active noise cancellation). The sliding button is positioned on the left earcup and is easy to find and use. It’s the only button on the left earcup. You can hear a slight hum when the ANC is turned on but this is normal for all headphones with this technology. It’s less bothersome than with many other active noise cancelling headphones. Overall, it works above average though not as good as more expensive noise-canceling headphones. But for the price, you will be more than happy with its ability to remove background noise. You have the option of connecting them with the standard 3.5mm AUX cable which you also get in the package, as well as, Bluetooth. It uses version 4.2 and you can connect to multiple devices. Connecting is very straightforward and works well. Unfortunately, it doesn’t feature NFC. The battery life is solid at up to 25 hours per full charge. You can’t use them when charging, not for music or calls. In case they die on you, you can switch to wired mode and use them for music like regular headphones. These are the standard features of Bluetooth headphones and these are no different. The battery life is actually quite good and will last you many plane flights before emptying. You might think these have to be built badly because of their low price. But that’s not true. In fact, they are built well and feel like many premium and more expensive models. You’d have a hard time knowing these are budget noise-cancelling headphones just from looking at them. They are mostly made from plastics. It feels durable and high quality. The hinges are metal as well as the extendable headband. The headphones are very flexible and give confidence that they can withstand a lot of punishment. The ear cups swivel a bit and also fold so you can pack them in the carrying case. All in all, these headphones are well made and will last you for a long time with proper care. Additionally, you get an 18-month warranty if you register the product online. The comfort is always a high priority in noise canceling headphones. The reason is that flights tend to be quite long, especially the intercontinental ones. Thankfully, TaoTronics ANC headphones don’t disappoint. The earpads are very soft. Made of foam and covered by faux leather. They warm up quickly and leave a comfortable feeling around your ears. The only problem might be the site of the earcups. As with most portable over-ear headphones they are on the smaller side. If you have big earlobes your ears might feel a bit squished in which can cause some discomfort after a couple hours. The earpads are also replaceable in case you’d want to change them. They are quite lightweight so you get used them very quickly. The cushioning on the headband isn’t rich but good enough since they don’t create a lot of pressure on top of your head. Overall, the comfort is very good and you can confidently take them with you on your longest flights and commutes. Standard features like built-in control buttons and microphone are present. There is 1 button for ANC control on the left earcup and 3 buttons for music on the right earcup. In order to connect the headphones, press and hold the power button. Click shortly to play/pause the music. To increase or decrease volume press shortly on the up and down buttons. To skip or repeat a song press and hold the same buttons. It’s all very straightforward and works well. The microphone uses cVc 6.0 noise cancelling technology which helps remove the unwanted ambient noise when talking. It’s suitable for making everyday calls but don’t expect premium performance. There is no mute button for the mic. 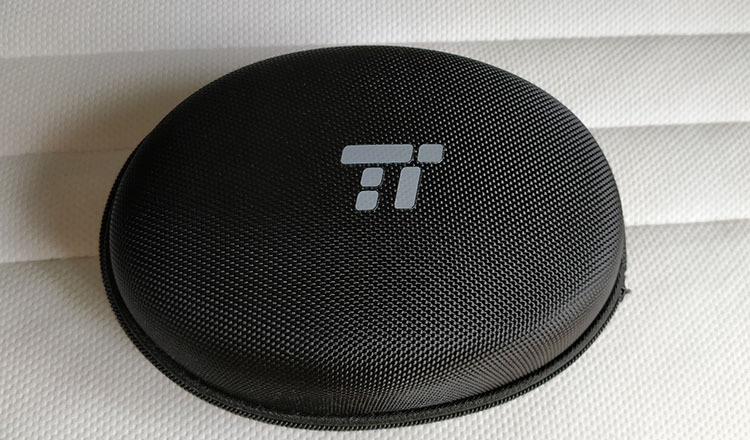 When it comes to audio quality TaoTronics TT-BH22 don’t disappoint either. While you can’t expect audiophile sonic fidelity you get a fun sound with emphasized bass. The general sound signature can be described as V-shaped. Emphasis on bass and treble is easily noticeable and creates a fun and dynamic sound that is great for listening to modern music. The bass is sometimes overpowering and the highs become sibilant at higher volumes. If you’re an audiophile you should keep your expectations low. But if you’re not too snobby about sound quality and just want to enjoy your music with clarity and strong bass, then these are perfect. We noticed slightly more bass in Bluetooth mode compared to wired mode. Also, when noise-cancelling is activated, it takes away some of the boom from the bass. It’s nothing dramatic but noticeable. The headphones can get quite loud, unhealthy loud. Plus, they support aptX Bluetooth codec for better wireless streaming. They sound very well for their price and the fact that they have emphasized bass and treble. For people who like modern music, using these will be an enjoyable experience. 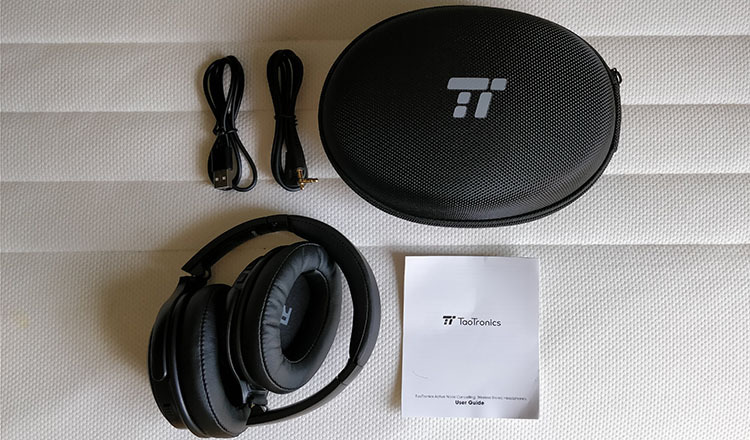 All in all, if you are looking for cheap but well-made, comfortable noise-cancelling headphones with popular sound quality, get TaoTronics TT-BH22.